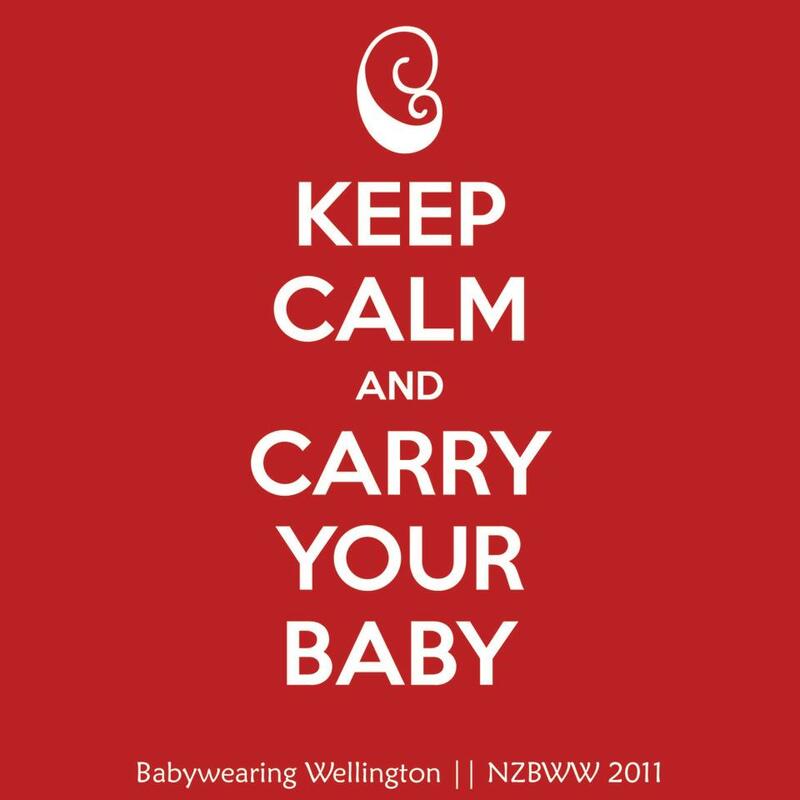 Like all pouch slings, Unido slings are great for quick and easy babywearing and fold up nice and small when you’re not using them. They can be used for front, back and hip carries. What sets Unido apart, though, is the fact that their pouches are fully customisable. You can buy them direct from stockists around NZ but if you want one that is exactly tailored to your body size, all you need to do is go to their website, put in your diagonal shoulder to hip measurement, choose your coordinating fabrics and place your order. There’s an extensive range of fashionable printed cotton fabric to choose from for the outside, and the solid coloured fabric on the inside is a diagonal weave for added strength and durability. Unido slings are fully reversible as well, so you can wear them with the print on the inside for a different look. Another nice touch is that you can order a matching mini pouch for your child to wear their ‘baby’ in as well. 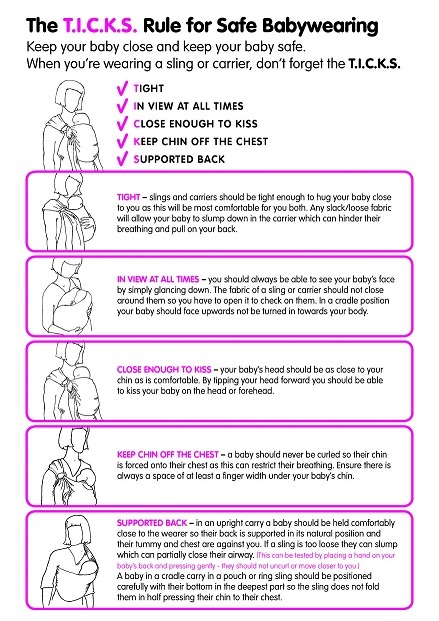 Unido also provide a comprehensive illustrated guide to using their slings. Please check out Unido’s blog or their Facebook page. The Unido pouches in our library are a small (fits size 10-12 or 59-63cm) and a medium (fits size 12-14 or 63-68cm). We’d love you to come and try them out at one of our slingmeets and they’re also available to hire at any time by contacting our librarian. Tags: Library, pouches, review, Unido. Bookmark the permalink.